The writing path is rewarding and varied – but it can also feel very long. If your definition of “success” is to be a best-selling author and you’ve never written more than a few pages, it’s easy to get discouraged. Instead, focus on reaching new milestones on the writing path. These are nine that I think are well worth celebrating (and I’d love to hear your suggestions and thoughts in the comments). Note: you might not necessarily hit these milestones in order. Your very first short story or poem or article is a huge achievement. (Granted, you probably wrote something along these lines in school – but that still counts.) Every time you tackle a new type of writing, you’ve got the chance to reach this milestone again. I wrote plenty of short stories in school, but the first one I remember really liking was a modern-day retelling of the Beowulf legend when I was 12-13. Try it: Have a go at something new this week. If you normally write non-fiction, try a short piece of fiction; if you normally write fiction, try poetry or a very different style. Some writers work in secret for years without sharing their writing with anyone. Your first reader (or group of readers) definitely counts as a milestone. That might be your spouse or best friend, or a group of strangers online. Try it: Unless you’re writing purely for yourself (e.g. 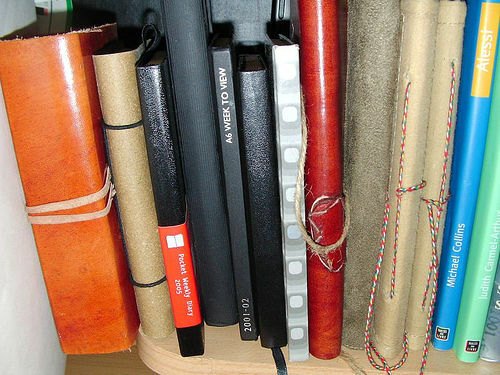 a journal), your writing isn’t really complete until it’s read. Find someone who you can show your work to – you don’t even need to ask them for any feedback or comment. If showing your work to a reader is scary, getting a critique is doubly so … but it’s a hugely important part of your development as a writer. Feedback doesn’t just let you see where there’s room for improvement: it also indicates what you’re already doing well. When I was 14, I started going to a writing workshop group, sharing my work with (much older, more experienced) writers. It was nerve-racking at first, but everyone was hugely supportive and thoughtful in their feedback. Try it: Look for a local or online writing group, and share your work with other people. In my community/teaching site, the Writers’ Huddle, lots of members are posting work for critique – and getting excellent feedback and suggestions. Today, anyone with an internet connection can be published. It’s very easy to set up a blog (or to create an account on websites like fanfiction.net) so that you can publish your own work online. Yet, while the technology is simple, this is still a significant step as a writer: you’re putting your words out there for the world to see. I’ve been online since my teens, and writing for most of that time. The internet has played a huge role in shaping who I am as a writer, and some of my teenage experiences with collaborative writing online inspired my novel Lycopolis. Even though more and more people read online nowadays, your first print publication is still a major milestone worth celebrating. Having an article in a magazine or newspaper means a lot – especially as this shows that an editor has liked your work enough to publish it (even if you’re not getting paid). I wrote one or two very short pieces for my church magazine when I was about 10, though the first publication I was really proud of was a short story (titled “The Goblet”, I think) for a subscription-based teen magazine when I was 15. Try it: Look for opportunities to write for small publications – perhaps the local press, or a specialist journal or magazine. You might also try letters to newspapers or big magazines (some even pay, or offer prizes). One of the best milestones as a writer is when someone pays for your work. This is a true badge of honour: not only did your work find editorial approval, it also added sufficient value to the publication that they were willing to pay you. I had a couple of small short story prizes around 2007-8, but the first really exciting payment I had was when I stumbled into freelance blogging in early 2008: that opened up a whole new world for me (and, four years on, it’s why Aliventures exists). Try it: It can be tough to break into paying markets – but there are definitely opportunities around. Build up connections with writers and editors, and consider magazines, blogs and copywriting (websites, leaflets, etc for companies) as well as fiction and poetry (it’s tougher to make money from these). Some writers are perfectly happy working in short form – articles, flash fiction, poetry, blog posts, and so on. Even so, a book-length draft is a reasonable goal (short stories or poems could be compiled into a collection, for instance). And many writers want to complete a novel or non-fiction book. My first novel draft was finished when I was 15. It was, frankly, pretty rubbish (draft two wasn’t much better). It was really more of a novella than a novel – 40,000 words or so – but it was the longest project I’d ever managed to complete. Try it: I know that “write a book” is a daunting project, one that many people put off from month to month and year to year. But if you write just 500 words a day on your book, you’ll have a finished 80,000 word draft before six months have gone by. What’s stopping you? A first draft is a great achievement – and one that you can be justly excited about. But a first draft isn’t a finished book. Your next step on the path is to complete your book – to redraft, edit, and polish. I’d define a “completed” book as one that you’re willing to send out to agents and publishers: it’s as good as you can make it. My first completed book was a fantasy novel, written while I was an undergraduate at university, and finished a few months after that, before my 22nd birthday. I did send it out to agents (no luck…) and then decided that I wanted to write something more ambitious and less genre-bound. Try it: Do you have a NaNoWriMo draft tucked away in a bottom drawer? Dust it off, read it through, and see whether there’s enough good stuff there to make it worth a second draft. Don’t worry if it’s currently full of plot holes, sloppy writing, clichés … all first drafts are like that. Do you dream of seeing your book on the shelves, or at least in virtual stores? For many writers, the publication of a book is the end goal … and it’s easier than ever to achieve that now, with all the possibilities of ebooks and print-on-demand opening up the publishing world to individual authors. Try it: To get published, you either need to find an agent/publisher – which means sending out your finished manuscript – or you need to bring that book out yourself. Either way, you need to take action. Get started this week on something that helps bring your dream closer. If you want a little help hitting those writing milestones, make sure you’ve got access to my library of free ebooks (pop on over to this page to find out more), exclusive to my newsletter subscribers. Once you join the (free!) newsletter, you’ll also receive quick tips straight to your inbox every Wednesday to help you go further with your writing. Congratulations on the publication of your first book (also for your nine milestones). I’ve got all nine in the bag, the funny thing is that whilst each one was huge at the time, the milestones soon fade in the distance, like stops on a long road trip and the next ones loom large on the horizon. I must write a post about that, thank you for reminding me! I’m getting close to 9, and it is exciting. One for me that I might call a sort of “floating milestone” (some image, right? Is that a mixed metaphor?) occurs when I look at writing I did a few years back and notice how my voice, style, and capability with words and sentences have improved. This is particularly true with my fiction pieces. And I agree with one of your previous posts, the one in which you mentioned that fiction is hard. It certainly is and a lot harder that it appears to the newbie! Bill Polm’s last blog post ..How is Writing like Adding and Subtracting? Great point — I wanted to keep these milestones focused on concrete “yes/no” type things, but I absolutely agree with you here, Bill. When I was getting close to the end of my MA at Goldsmiths, I looked back at some of the earliest work I’d done on *Lycopolis* and the difference was staggering. I tend to think one of the reasons fiction is so hard is because it’s also so rewarding. But sometimes I wish it would get easier…! I believe there’s always a first time and I would like to congratulate for a successful bunch of firsts. What was the most rewarding of all? Good question! I think that each has been rewarding in different ways … #8 (getting a novel completed to the stage where I could send it out to agents, though) feels like one of the biggest for me personally, perhaps because it happened during a period of my life where other things weren’t going so well. The interesting thing to add is that all of the steps have a certain chemistry attached to them; and the progress from one to the next makes you feel that much more enthusiastic. I can also add that nothing can replace the feeling before starting to write a longer project (an e-book for example). All those ideas are rushing through, and suddenly we are not just overwhelmed with them, but enjoying our creative peak the best we can. Absolutely — there’s a real sense of progression and achievement when you hit any of these milestones, and that’s often enough to give you the strength to go for the next. I too love that stage of ideas at the very start of a long project, though over time, I’ve learnt not to get too carried away by my own enthusiasm… the writing itself is a fair bit harder! I’m only at #4, but having milestones in the road ahead certainly gives me something to look forward to! The critique is a stopper for me. I usually skip it and go on to publishing online (usually in my blog no less). I’d like to feel confident enough to write a small ebook. Not all writing needs a critique, of course … but I definitely think it’s useful for projects like ebooks, where it can be hard to get enough distance on your work to structure things in the best possible way. I actually feel mildly more accomplished now! Thank you. Alas, I’m only up to milestone four, and that is only on FanFiction.net… so I haven’t really branched out to original character’s yet. Perhaps I’ll have that as a milestone 4.5. I’ve been attempting to improve and push my way through those remaining milestones with NaNoWriMo, Script Frenzy, and beta-reading for fellow fanfiction writers. Now knowing that I’m about 1/2 way to that end goal really lifts my spirit, so thank you again for this. PS – I’m intrigued by this Modern-day Beowulf you wrote when you were a child! I wonder whether some of your fans/readers might feel that a review isn’t necessarily an appropriate place for a critique? I know people *do* critique in the reviews section on fanfiction.net, particularly on ongoing stories (I lurk there occasionally ;-)) but you might need to explicitly ask for critical feedback as well as the “wow, I loved this!” variety. Or alternatively, do you have any beta-readers who’ll return the favour, and perhaps go beyond the typo-spotting level of beta-ing? I’m not a massive Stephen King fan myself, though I’ve enjoyed a few of his novels, and I loved *On Writing* — but how unnecessarily rude of your professor! We had one a bit like that on my course (I’ll name no names…) and we all used to just shrug off his comments and critique one another’s work. WOW, thanks for the quick reply! And thank you for validating the fanfiction. I keep telling myself that *I* am the lazy one because I’m not working on characters or background – it is already done for me. Makes me feel a bit like a writing mockingbird. It’s nice to see the flip-side of how tough it can be to write someone else’s stuff convincingly. I was debating a career of ghostwriting companion books to TV shows – such as the Richard Castle series (Castle) or the Bro-Code books (for How I Met Your Mother) – but I’m not sure how to go about doing so. That is great advice about the critiques. I DO end nearly all my posts with something along the lines of “Please remember to Con/Crit – it helps me become a better writer for you”, however I might need to just out-right look for a Beta. Bill: I love to see you share some tips from your experience at paid blog posts sometime. Maybe in your newsletter (and why not at Huddle?). No much that’s lovelier than getting paid for our art! Those typos and freewriting flubs! They’re frustrating to the max! Good encouraging advice Ali, and I enjoyed your guest spot on WrietToDone as well.